If you follow the education policy debate at all, you know that critics are often called “defenders of the status quo” by people pushing market-based school reforms. Here is a piece about why it is actually the reforms that are preserving the status quo — and what real reform would actually look like. It was written by Arthur H. Camins, director of the Center for Innovation in Engineering and Science Education at the Stevens Institute of Technology in Hoboken, New Jersey. His writing can be accessed at http://www.arthurcamins.com/. A moment after my train pulled to a final stop in Hoboken this morning, another train on my left pulled away provoking the perception that I was rolling forward. Had I not glanced to my right to see the stationary platform I might have been fooled into thinking I was actually moving. So it is with the current education reform strategies — the illusion of movement without looking around at the evidence. There are two pillars of Department of Education policy: increased numbers of charter schools and consequential use of standards-based assessment for promotion and employment decisions. Rather than citing evidence of causal connections to substantive changes in educational inequity, supporters claim state and local adoption of these reforms as progress and accuse critics of defending the status quo. Education Secretary Arne Duncan has declared many times that he believes in using data. I do too. Several features of that status quo are unarguable. Evidence suggests two conditions that contribute to lower average levels of achievement of poor and lower-middle class students. First, on average the conditions of their lives mean that compared to their more well off peers, they enter and continue through school with fewer supports for learning and greater stress that impedes learning. Parents’ socioeconomic status and educational attainment level — in other words poverty — explain a very substantial portion of the variation in students’ level of achievement and predicts future employment and income. Second, teacher experience and expertise are not equally distributed across schools. I will argue that the pillars of current education reform are more likely to preserve rather than change the status quo. Further, there are alternative policies that are more likely to mediate educational inequity, creating real rather than illusory movement. None of the pillars of reform will address either of these conditions at scale. Instead, they merely give some students a competitive advantage. Even if reforms redistribute these benefits or slightly alter the size of the advantaged group, they are still essentially maintaining the status quo, creating the illusion of movement, without fundamental change. Here is a provocative piece from Leslie T. Fenwick, dean of the Howard University School of Education and a professor of education policy, about what is really behind urban school reform. It’s not about fixing schools, she argues, but, rather, about urban land development. Fenwick has devoted her career to improving educational opportunity and outcomes for African American and other under-served students. The truth can be used to tell a lie. The truth is that black parents’ frustration with the quality of public schools is at an all time righteous high. Though black and white parents’ commitment to their child’s schooling is comparable, more black parents report dissatisfaction with the school their child attends. Approximately 90 percent of black and white parents report attending parent teacher association meetings and nearly 80 percent of black and white parents report attending teacher conferences. Despite these similarities, fewer black parents (47 percent) than white parents (64 percent) report being very satisfied with the school their child attends. This dissatisfaction among black parents is so whether these parents are college-educated, high income, or poor. The lie is that schemes like Teach For America, charter schools backed by venture capitalists, education management organizations (EMOs), and Broad Foundation-prepared superintendents address black parents concerns about the quality of public schools for their children. These schemes are not designed to cure what ails under-performing schools. They are designed to shift tax dollars away from schools serving black and poor students; displace authentic black educational leadership; and erode national commitment to the ideal of public education. Consider these facts: With a median household income of nearly $75,000, Prince George’s County is the wealthiest majority black county in the United States. Nearly 55 percent of the county’s businesses are black-owned and almost 70 percent of residents own homes, according to the U.S. Census. One of Prince George’s County’s easternmost borders is a mere six minutes from Washington, D.C., which houses the largest population of college-educated blacks in the nation. In the United States, a general rule of thumb is that communities with higher family incomes and parental levels of education have better public schools. So, why is it that black parents living in the upscale Woodmore or Fairwood estates of Prince George’s County or the tony Garden District homes up 16th Street in Washington D.C. struggle to find quality public schools for their children just like black parents in Syphax Gardens, the southwest D.C. public housing community? The answer is this: Whether they are solidly middle- or upper-income or poor, neither group of blacks controls the critical economic levers shaping school reform. And, this is because urban school reform is not about schools or reform. It is about land development. In most urban centers like Washington D.C. and Prince George’s County, black political leadership does not have independent access to the capital that drives land development. These resources are still controlled by white male economic elites. Additionally, black elected local officials by necessity must interact with state and national officials. The overwhelming majority of these officials are white males who often enact policies and create funding streams benefiting their interests and not the local black community’s interests. Many key figures promoting broad efficiency-oriented reform initiatives [for urban schools] were whites who either lived in the suburbs or sent their children to private schools (Henig et al, 2010). Local control of public schools (through elected school boards) is supposed to empower parents and community residents. This rarely happens in school districts serving black and poor students. Too often “predators eager to exploit schools for their own benefit” (Henig et al) short circuit the work of deep and lasting school and community uplift. Mayoral control, Teach for America, education management organizations and venture capital-funded charter schools have not garnered much grassroots support or enthusiasm among lower- and middle-income black parents whose children attend urban schools because these parents often view these schemes as uninformed by their community and disconnected from the best interest of their children. In the most recent cases of Washington D.C. and Chicago, black parents and other community members point to school closings as verification of their distrust of school “reform” efforts. Indeed, mayoral control has been linked to an emerging pattern of closing and disinvesting in schools that serve black poor students and reopening them as charters operated by education management organizations and backed by venture capitalists. While mayoral control proposes to expand educational opportunities for black and poor students, more-often-than-not new schools are placed in upper-income, gentrifying white areas of town, while more schools are closed and fewer new schools are opened in lower-income, black areas thus increasing the level of educational inequity. Black inner-city residents are suspicious of school reform (particularly when it is attached to neighborhood revitalization) which they view as an imposition from external white elites who are exclusively committed to using schools to recalculate urban land values at the expense of black children, parents and communities. So, what is the answer to improving schools for black children? Elected officials must advocate for equalizing state funding formula so that urban school districts garner more financial resources to hire credentialed and committed teachers and stabilize principal and superintendent leadership. Funding makes a difference. Black students who attend schools where 50 percent of more of the children are on free/reduced lunch are 70 percent more likely to have an uncertified teacher (or one without a college major or minor in the subject area) teaching them four subjects: math, science, social studies and English. How can the nation continue to raise the bar on what we expect students to know and demonstrate on standardized tests and lower the bar on who teaches them? As the nation’s inner cities are dotted with coffee shop chains, boutique furniture stores, and the skyline changes from public housing to high-rise condominium buildings, listen to the refrain about school reform sung by some intimidated elected officials and submissive superintendents. That refrain is really about exporting the urban poor, reclaiming inner city land, and using schools to recalculate urban land value. This kind of school reform is not about children, it’s about the business elite gaining access to the nearly $600 billion that supports the nation’s public schools. It’s about money. Will Teacher Prep Academies Replace Schools of Education? Senator Bennett from the state of Colorado has re-introduced the Growing Excellent Achievement Training Academies for Teachers and Principals (GREAT) Act, a bill to reshape teacher preparation, drastically lowering the standards for those doing this crucial work. The bill boasts support from the New Schools Venture Fund, Democrats for Education Reform, Stand For Children, Teach For America, TNTP, NCTQ and many more "reformers." This bill reflects groundwork that has been laid by Gates Foundation-funded non-profit advocacy and policy groups such as the National Council on Teacher Quality, which has been highly critical of our nation's schools of education. Accountability for producing effective teachers and principals with their graduation tied to improving student academic achievement. Programs that fail to produce great teachers or principals will be not be reauthorized. In return for accepting this accountability, academies will be free from burdensome, input-based regulations that are unrelated to student achievement. Marcela Garcia is right on target with her May 21 op-ed “Sinking in an English-only classroom.” Massachusetts voters were conned into approving a 2002 referendum banning bilingual education by the argument that we want students to learn English. Of course we do, though perhaps not as much as they want to learn it. The problem is that until you have a command of English, you can’t understand your other subjects, such as math, science, and social studies, and passing or flunking depends on how you do on tests of these subjects. Years ago, Russian children in Springfield were in classes with English-speaking teachers, but they would also have a teacher who could speak both Russian and English. That meant the Russian youngsters could keep up with course work and also help the English-only speakers learn about Russian culture. The Department of Elementary and Secondary Education is well aware of the problem. A few years a subcommittee report found that dropout rates soared for students across the state who entered schools with limited proficiency in English after the 2002 referendum. Massachusetts should figure out a way to get back to bilingual education. The writer has tutored students for whom English is a second language. Jeff MacSwan and Kellie Rolstad, a husband-and-wife team at Arizona State University, heard rumors last year that courses they designed for an online program were being used without their permission. So in the summer of 2011, MacSwan registered as a student in an English as a Second Language program for which the couple, both tenured professors, had developed courses. In his telling, he logged on to discover that the courses he and his wife, an associate professor of linguistics, had created were being used without attribution or authorization. A lawsuit is now likely as MacSwan and Rolstad claim damages for alleged violation of copyright laws and university rules. The couple left Arizona State and are now employed as tenured professors in the College of Education at the University of Maryland at College Park. Their lawyer sent a notice of claim, a legal notice that precedes a lawsuit, to the Arizona Board of Regents and the state’s attorney general in December, calling for $3 million in damages. "That was a figure our attorney suggested as a reasonable proposal for settlement. The notice of claim guidelines require that one specifies a sum of money that could be used to settle the claim," MacSwan said. MacSwan and Rolstad also filed a complaint with the university and, last week, they received word that their case will be heard by the university's Governance Grievance Committee. Arizona State officials and the state’s Board of Regents refused comment on the issue, saying that they do not comment on pending litigation. Sparring over ownership of course materials might grow, as more institutions offer online courses and look at them as a potential source of revenue. Experts feel that the law is uncertain when it comes to statutes and case law, and an argument could be made for either side. “…As a practical matter, it is best for a university to have a policy about the ownership of course materials or an actual agreement with faculty members,” said Georgia K. Harper, scholarly communications adviser for the University Libraries at the University of Texas at Austin. Harper, an attorney who also represents the UT system's office of general counsel on copyright issues, said universities may have different traditions: there might be a strong tradition of faculty ownership at one, while other institutions might claim ownership of such materials, stating that they were created within the scope of employment. MacSwan said the university violated the Arizona Board of Regents Intellectual Property Policy. The policy defines scholarly works as “works of authorship and creative works regardless of their form that are created by employees or students. Except as set forth below, scholarly works include on-line instructional materials, scholarly publications, textbooks, journal articles, course notes, research bulletins, monographs, books, play scripts, theatrical productions, poems, works of music and art, instructional materials, and non-patentable software.” Although the board's policy does not claim copyright of scholarly works, it makes an exception for works that were created with significant resources from the board or university, or works created in the scope of employment. MacSwan also pointed out that the American Association of University Professors has said that professors own the right to their scholarly work. The couple said they developed online courses for an ESL master's program for the university’s graduate school of education in 2009. The next year, MacSwan and Rolstad moved to the English department as the online ESL program became part of the Mary Lou Fulton Teachers College at the university. But they continued as co-directors of the program, and copyrighted their course materials, including handouts, texts and streaming video. Their dispute with the university began in late 2010, when MacSwan refused to teach a winter course for reduced pay, at a rate usually offered to adjuncts. This, MacSwan said, led to escalating tensions with Mari Koerner, the dean of the Teachers College, and he and his wife did not teach their courses in the summer of 2011. That summer, MacSwan said, his colleagues told him that the courses that he and his wife developed were still being used in the ESL program. That's when he enrolled as a student to find out for himself. “MacSwan witnessed that the contents were used in total replication, including the video recorded lectures and PowerPoint presentations of MacSwan and Rolstad. In addition, some of the material was used without attribution, not only without authorization, constituting plagiarism,” according to the filing by the couple’s attorney. Koerner, the dean at the teachers college, declined requests for an interview. Robert A. Gorman, emeritus professor of law at the University of Pennsylvania and a former president of the AAUP, said that he largely supported the AAUP view that course materials developed by a university professor belong to that professor. "Academic freedom traditions also point in that direction,” said Gorman, an expert on copyright law. An exception could be when a university participates extensively with a faculty member in generating a course or developing teaching material, but even then, there would have to be a contractual agreement specifying copyright ownership, Gorman said. The complication can be the definition of what is within the scope of employment. The advent of the Internet and the growth of digital material have served as an impetus for refining university rules, said Rodney Petersen, managing director of the Washington office of EDUCAUSE. “There is definitely more awareness of intellectual property interests,” Petersen said. “There are nuances built around what is termed as the scope of employment.” A faculty member might have rights to a specialized graduate school course, but in a case where every incoming faculty member teaches the same basic course, the university might be more interested in owning it, Petersen said. A 2005 paper  on intellectual property and online courses by Jeffrey Kromrey, a professor of education at the University of South Florida, that looked at 42 public and private research universities, found that 93 percent of universities allowed professors control over traditional scholarly works, but 71 percent of them allowed for exceptions. “Most universities (95 percent) claimed some faculty works, especially if the work required substantial use of university resources (83 percent),” the paper said. "None of us is smart enough to know, but Klein/Rice, like the authors of A Nation at Risk, like to create devils. Be afraid! Be very afraid! Then, as part of the exorcism, these writers promote destroying the evil public schools, which then brings to us a new age of national success though vouchers, charters, tax credits, and online schooling. What a crock. " I understand that this book, Digital Diploma Mills: The Automation of Higher Education by David F. Noble is an important read. "In essence, the current mania for distance education is about the commodification of higher education, of which computer technology is merely the latest medium, and it is, in reality, more a rerun than a revolution, bearing striking resemblance to a past today’s enthusiasts barely know about or care to acknowledge, an earlier episode in the commodification of higher education known as correspondence instruction or, more quaintly, home study. Then as now, distance education has always been not so much technology-driven as profit-driven, whatever the mode of delivery. The common denominator linking the two episodes is not technology but the pursuit of profit in the guise and name of higher education." A fast food version of higher education is not appealing to me. Is the Internet the springboard which will take universities into a new age, or a threat to their existence? Will dotcom degrees create new opportunities for those previously excluded, or lead them into a digital dead-end? From UCLA to Columbia, digital technologies have brought about rapid and sweeping changes in the life of the university—changes which will have momentous effects in the decade ahead. In the first book-length analysis of the meaning of the Internet for the future of higher education, David Noble cuts through the rhetorical claims that these developments will bring benefits for all. His analysis shows how university teachers are losing control over what they teach, how they teach and for what purpose. It shows how erosion of their intellectual property rights makes academic employment ever less secure. The academic workforce is reconfigured as administrators claim ownership of the course-designs and teaching materials developed by faculty, and try to lower labor costs in the marketing and delivery of courses. Rather than new opportunities for students the online university represents new opportunities for investors to profit while shifting the burden of paying for education from the public purse to the individual consumer—who increasingly has to work long hours at poorly-paid jobs in order to afford the privilege. And this transformation of higher education is often brought about through secretive agreements between corporations and universities—including many which rely on public funding. Noble locates recent developments within a longer-term historical perspective, drawing out parallels between Internet education and the correspondence course movement of the early decades of the 20th century. This timely work by the foremost commentator of the social meaning of digital education is essential reading for all who are concerned with the future of the academic enterprise. David Noble spells out the meaning of the automation of higher education in terms of academic freedom, civic values, and the distortions of research, curriculum and tuition on campus. Noble knows more than anyone about the growing struggle by faculty and students in North America against these erosions. Digital Diploma Mills is a wake-up call to millions of teachers, students, and parents about the battle over an underpublicized but big assault on quality education and intellectual freedom. David Noble’s critique of technology has never been more forceful—or more usable for faculty—than in his writing on distance education. This collection of his ideas is a succinct and brilliantly pointed antidote to cyber hype. Most of all, its force derives from a passionate attachment to the notion of education as a vital human compact between individual, in-the-flesh students and teachers. Digital Diploma Mills is essential reading for faculty union activists and others struggling to understand and combat the increasing corporatization of our universities. David Noble outlines the dismal future toward which higher education seems to be headed, but even more important, he eloquently reminds us of our obligation to forestall that future and to preserve the promise that genuine education entails. David Noble has done it again. Digital Diploma Mills provides a penetrating analysis of how the marriage between new technologies and the corporate search for profits shapes what happens in the classrooms of higher learning. This is essential reading not only for those who care about the pursuit of truth in an autonomous academy, but for all who are concerned with the growing corporate encroachments in virtually every sphere of our existence. David Noble’s insightful book sounds a sobering warning. If digital education becomes just another fast-food commodity, students and teachers will lose, while higher education becomes further entrenched in corporate big business. 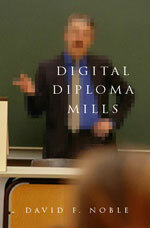 Digital Diploma Mills should be required reading for educators and others interested in the brave new world of online education. When the Houston Independent School District (HISD) began to integrate its schools in 1970, it used a plan that only integrated Hispanics and African-Americans. Hispanics believed that this plan was racist and unjust, so they boycotted the schools. Special "huelga" (strike) schools were formed to educate boycotting students. The boycotts did not end until HISD drew up a fair integration plan in 1972. Because of this movement, Hispanics now have a better education and therefore, a better future. "The 'integration' will not actually change much...the plan makes hundreds of students change schools and the only real 'integration' is only with Chicanos and blacks." When HISD was forced to integrate the schools in 1970, they decided to classify Hispanics as white, saying that the Hispanics wanted to be white. So, with the Hispanics "white," they mixed Hispanics and African-Americans. They left Anglos untouched, who stayed in their superior schools, while the Hispanics and African-Americans were integrated. Also, many Hispanics had to attend schools far away from the barrios. "They are not interracial...[they have] fought to be white...when the shoe begins to pinch [they want to be] a identificable ethnic minority." --Judge Ben Connally, after turning down the Chicanos appeal against HISD's integration plan. "White flight," when Anglos move to the suburbs during school integration, was threatening to HISD, since they were funded for each attendee. 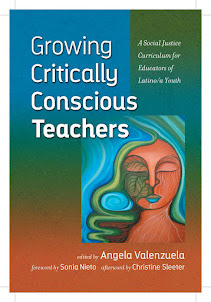 HISD thought that Hispanics would not fight back, and it knew Anglos had lots of influence and were very vocal. "...sorry Judge Connally cannot see the real world." "The system was unfair...when they said they wanted all children to succeed they had one child in mind. This child wasn't black, or brown, or olive, or Asian. The child was white." "They didn't want us around." "You should care because the unexotic underclass can help address one of the biggest inefficiencies plaguing the startup scene right now: the flood of (ostensibly) smart, ambitious young people desperate to be entrepreneurs; and the embarrassingly idea-starved landscape where too many smart people are chasing too many dumb ideas, because they have none of their own (or, because they suspect no one will invest in what they really want to do). " Cogent, powerful analysis of obesity in America as primarily driven by capitalism and the policies that support it in all arenas of human existence. WE WORRY TO MUCH. CHRONIC WORRYING. EXCESSIVE HEAT IN THE BODY. PROLONGED INFLAMMATION CREATES DISEASE ESPECIALLY FOR POOR PEOPLE. INFLAMMATION NATION. "The typical American scurries around like a mouse on double espresso. The daily habits of so many Americans now include fast driving and tailgating, fast walking, rapid speech, rapid continuous working without breaks, multitasking, constant productivity during waking hours that includes paid and unpaid work, working impossibly long hours, and most important, going without sleep." "The capitalist system must continually expand, because capitalists must relentlessly compete against each other for sales. Expansion is built into its genetic code. And yet the world of humans is finite. Just as in the late 1920s and throughout the 30s, the need for investors to make profit is outstripping the ability of the majority of people to pay for commodities, spiraling the human economy into a global economic contraction. The difference this time around is that the whole world of humans is dependent on the global economy and the things it produces. Because supply far outpaces demand, the profit-taking by the investor class has to come from somewhere besides the failing markets. This has led to the "privatization of everything" so that profit can be squeezed from every cubic centimeter in, above, and below the earth's biosphere. The last three decades have also witnessed the stagnation of wages and benefits for working people, as well as the greatest transfer of wealth in the history of humanity - from the have-nots, the working class and the entrepreneurial classes - to the haves, the billionaires, bankers and other powerful players. According to Mother Jones, since 1979, the productivity of American capitalism grew over 80 percent, while US wages grew around 12 percent." Makes me think about our education system and all the stresses that we place on children and with this, this high level of obesity among our youth in so many of our schools.